Was just informed this weekend that my poem “Housekeeper”(see below) was chosen along with six other poems in a poetry contest! The contest is sponsored by Bellingham Repertory Dance Company and Chuckanut Sandstone Writers Theater. 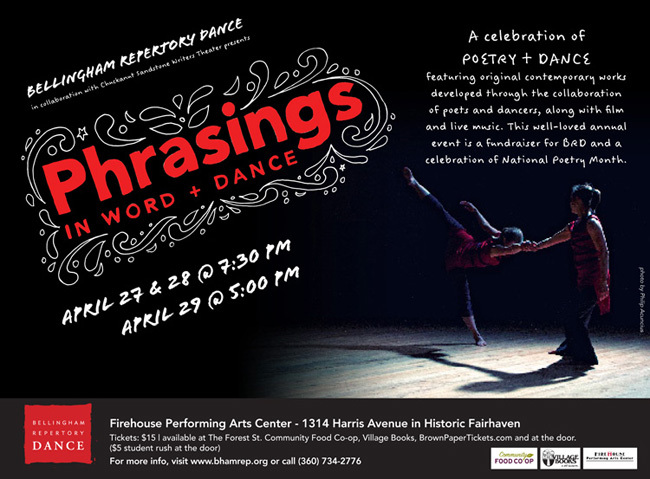 The seven poems will be interpreted in dance while being read out loud in the popular annual event “Phrasings” April 1-3 2011. What an honor!